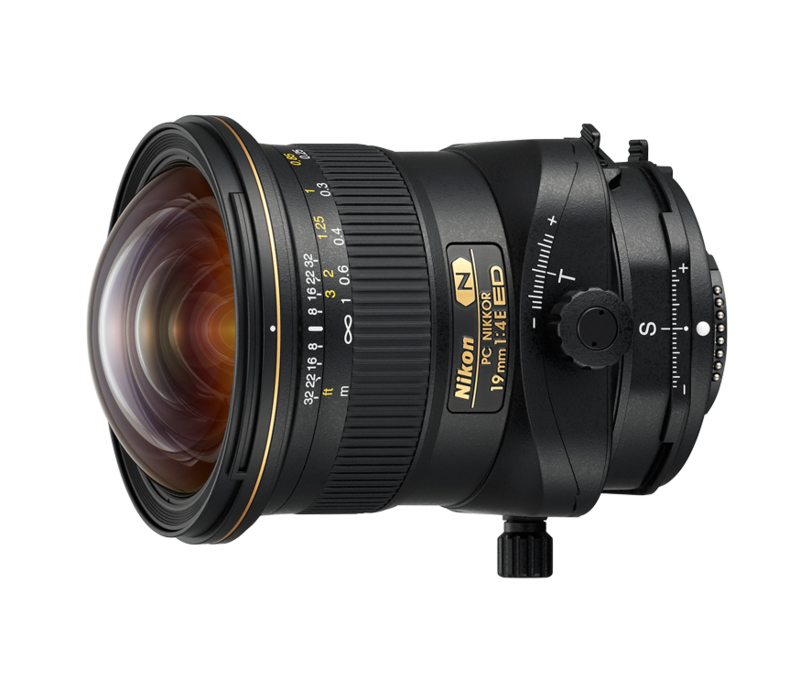 Nikon has produced a new PC lens recently – the PC Nikkor 19mm f/4 and I have a feeling that it will be a significant lens for Nikon users. It inspired me to write a few notes about the usual ways of controlling the perspective using normal lenses. There is quite some room for adjusting perspective with normal lenses in the field by proper use of this method. It is based on basically framing, e.g. a tree, with your camera parallel to it. The tree is now straight but its top is cut off. So you have framed the tree (with the sensor about parallel to it) so that you include the desired height including the top or space above the tree. Great help for this is a wider angle lens. If it’s an UWA zoom, you will use its wider setting. 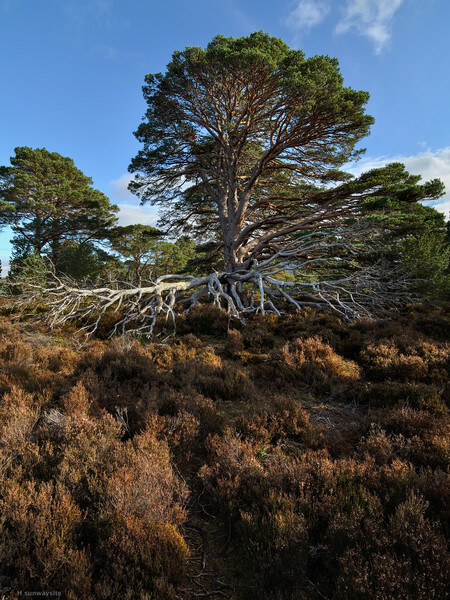 With the camera in the vertical position, you will find that you now got the picture the way you wanted but have also some additional space at the bottom of the frame, an extra bit of an empty space below the tree. That may be flowers you want to include but it can also be too much of it so you will later cut whatever of that space is not needed for your composition. It will result in an aspect ratio that is closer to a square ratio. You can even cut it to a true square. This is a very nice way to get both an attractive format and straight lines. In case the camera is in the horizontal orientation the same applies but you will be creating panoramic formats – wider aspect ratios. 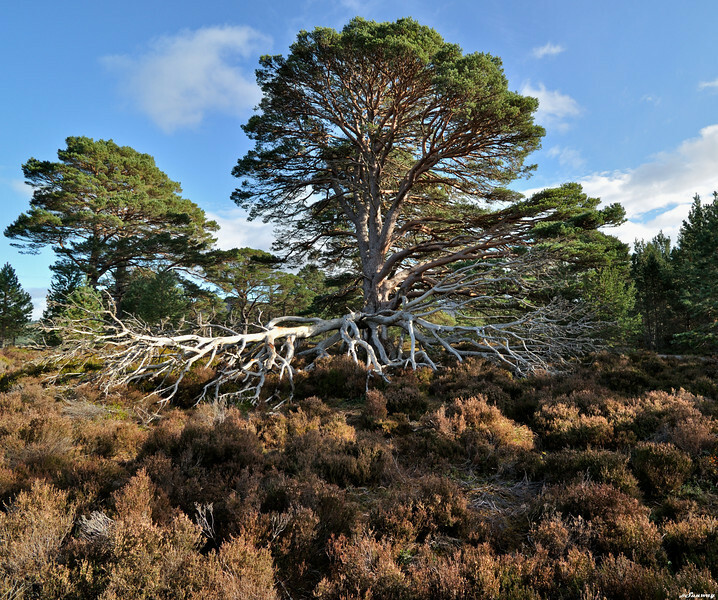 This Scots pine was photographed using this technique (in horizontal orientation). Though here, only a partial correction was applied with the borders, where the centripetal leaning is apparent, cut. Perspective is part of the photo and it obviously does not need to be corrected for straight lines. It really is control rather than correction as part of your composition and expression you intend for your photograph. Another and more general rule for getting rid of unwanted leaning of the lines backwards is increasing your distance to the subject and using relatively a very narrow angle of view – a telephoto, e.g. when framing architecture compression/close-up. And then the PC or T/S lenses enable another step of control of perspective and that more independent of aspect ratio adjustment, changing your position and FL flexibility. These are valuable tools among the specialist lenses. Correction in vertical orientation (lesser cut from the top and more from the bottom) maintaining distinct aspect ratio.